Learn more about CPAS and access additional resources. Q: How much does psychotherapy cost? A: Your first consultation by phone is free. Costs vary once your meetings with a licensed therapist begin. But in general, your first meeting for individual counseling is $160; subsequent therapy sessions cost $120 each. All family sessions cost $160. We offer several payment arrangements, so call for details. Q: Will insurance cover my therapy? A: You'll need to check with your insurance company to be sure. CPAS is an in-network provider for Medicare, Tricare, Blue Cross Blue Shield, Aetna, Humana, Beech Street, Cigna, ComPsych, Medicaid, Multiplan, ValueOptions and Wellcare. If you have a different insurance carrier, please call us first to see if you're covered. Q: How often will I need to see my therapist? A: That's something you and the therapist will decide together, depending on the nature and severity of your symptoms. For most people, once or twice a week is enough. 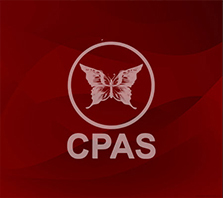 CPAS also offers counseling by phone. Q: How long will it take before I feel better? A: There's no way to know for sure. Some people feel better after just one visit, knowing they're taking action. But they're still a long way from restoring a healthy balance in their lives. You and your therapist will explore your concerns and goals and will create the process you'll use to achieve those goals. Q: What if I don't like my therapist? A: It's perfectly acceptable to test drive several cars before you choose the one that's right for you. We understand that you may not like the first therapist with whom you meet. If CPAS doesn't have a therapist that's right for you, we'll refer you to other practices in your area. Q: What if I need medication as well as psychotherapy? A: CPAS counselors do not prescribe medication. We do, however, work with several medical	doctors and psychiatrists who do, so we can refer you to a physician if necessary. For details on challenges you may be facing and how psychotherapy may help, click on the links below which will take you to relevant portions of the Mayo Clinic's website. Use your back button to return to the CPAS website.